And the Lake is touching the launch ramp - hard to believe - guess those thunderboomers rained oodles amounts of water in the backcountry - we're actually looking like a Lake - J! Still lots of wildlife in the area - a bear's been roaming around us for the last 5 nights along with the occasional deer. Great Blue Heron flying over the Lake and the Eagles and Opsrey are still making appearances. Catching was on the good side thru the weekend - come Monday, things slowed down quite a bit - Fishing the Inlets with NightCrawlers, PowerBait or Jigs. Lots of fish hanging around the rock piles dotting the Lake - try trolling around them or troll close to the shoreline. If you get tired of trolling and want to relax, try drifting thru the channels with NightCrawlers or Lures. From shore, try fishing with PowerBait. Brothers Cooper, Carson and Chad Adams caught dinner for the crew using PowerBait - Good job boys! Laura Cacho landed a 2-1/4 pounder using a NightCrawler. 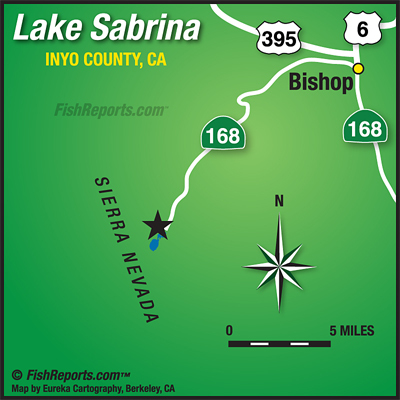 Can you believe Labor Day weekend is less than 2 weeks away - when not up at the Lake fishing, why not take in the Eastern Sierra Tri-County Fair starting August 28 - August 31, 2014. The Eastern Sierra Tri County Fair is a true country fair that shows off all that Inyo, Mono and Alpine Counties have to offer. They boast a wide array of hand and homemade exhibits for all tastes and interests, interesting commercial and educational exhibits and tons of free entertainment all for the price of admission. For the more adventurous there are main arena events including truck pulls, an ATV rodeo, traditional rodeo and the ever-popular destruction derby, not to mention a fantastic family friendly carnival! So check it out at http://www.tricountyfair.com. Welp, we've got a chance of thunderboomers back in the forecast for a bit, so don't forget your PONCHOS & a JACKET. Temps are expected to be in the mid 70s with the lows in the 50s - DON'T FORGET YOUR JACKETS (can't say this enough)! You can also check out www.weather.gov - enter Aspendell, CA (which is the little community right below Lake Sabrina) in the search field and you'll get the forecast for the higher elevation or take a look at Howard Sheckter, our local weather 'guesser' report at www.MammothWeather.com. The skeeters are pretty much done. Remember the sunscreen, ponchos and dark polarized glasses. The glare off the water is tough on the eyes. And if you have allergies - PACK YOUR MEDS. It's tough breathing out there for some - what with runny noses, stuffed noses & watery eyes, believe us, we know! One other important item - bug juice, hand sanitizer, sunscreen, cologne, perfume, or any other foo-foo juice is like a fish repellent. If you use any of these items you're basically using fish repellant, and will need to wash your hands, then apply Bite-On fish attractant or rub your hands in worm dirt or pour some Salmon Egg juice on your hands... anything to get the foo-foo stink off your hands. The Lake Sabrina Boat Landing Café is serving Breakfast on Friday, Saturday, and Sunday from 7:00am to 11:00am and Lunch until 4:00pm.